ZANESVILLE, Ohio – Walking together as one in the celebration of life. The Drug Free Muskingum Coalition held a walk this morning at the Muskingum County Fair Grounds Veterans Building. The purpose of the walk is to remember the loved ones lost in the battle of addiction and celebrate those in recovery. Many participants showcased posters with positive words and pictures of their loved ones. “I had a family come to me back in October, they had lost a loved one. They told me that they would like to do a memorial walk, but they didn’t want to be sad, they wanted it to be more of a celebration. So we met a few times, and came up with this. And it bloomed into a huge celebration,” said Walk Coordinator, Monica Batteiger. The theme of the walk was Unlock the Stigma-Lock in the Love. 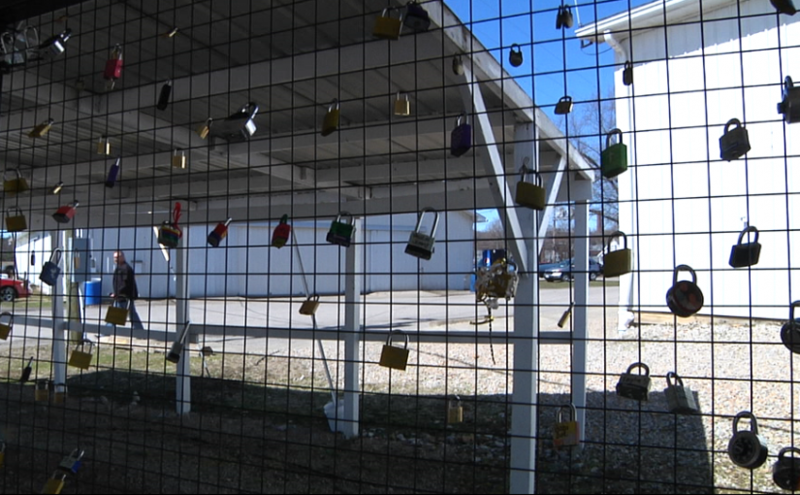 At the end of the walk, participants were able to place a lock on the chain link fence to represent the memory of their loved ones. “We think it’s important for awareness. To try to take away the stigma from addiction you know. I think our community is in a different place now than what it was even just a year ago. We definitely know that education is a great foundation to get away from the stigma,” Batteiger said. The entire event was free to the public. The fence will be moved around to different locations as a mobile reminder of those lost.